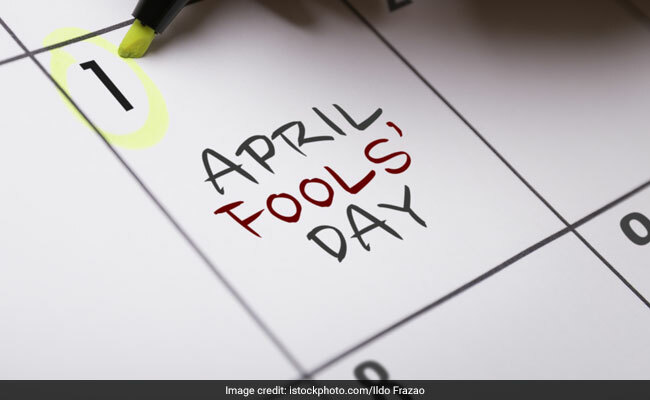 April Fool's Day 2018: This year, April Fool's Day will fall on Sunday. It's that day of the year again! April Fool's Day - the day when you eat everything cautiously and walk everywhere carefully because you never know what pranks your friends, family or coworkers may be planning to play on you. April Fool's Day is celebrated on 1st April every year and is a time when we are all on our toes, expecting the worst. However, it's also a great day to pull off some harmless pranks on your friends and family. We have come up with a list of seven such pranks - they're all in good fun and we guarantee laughter all around. This year, April Fool's Day will fall on a Sunday. This trick may not be the most innovative one, but it's great fun. Simply swipe your friend's phone when they are not looking and change a few contact names to your favourite fictional characters. No lasting harm done - and you'll definitely get a few laughs watching your friend field calls and texts from Batman and Harry Potter. This works best on someone close - your significant other, or your kids, maybe. Send them a cheerful "good luck for 'xyz' important event today" and watch them scramble to figure out what it is. Put a note on a friend's car that reads something along the lines of 'sorry for the damage' and watch them look for nonexistent scratches and dents. Laughter guaranteed. Ah, the good old food swap. Toothpaste on Oreos, mayonnaise filled donuts, mashed potato sundaes... the possibilities are endless! Put on your thinking hats and get cracking in the kitchen. You know those three dots that tell you someone is typing a message? Simply send a gif of those dots to a friend and drive them crazy. You can save the gif from here. Is it effective? Also yes. And finally, a great way to trick your coworkers. Bring a box of totally normal donuts (or any dessert) to work, write 'Happy April Fool's Day' on the box, and watch as people try to figure out what's wrong with the sweets. Still haven't found the perfect prank? Look through our April Fool's Day ideas from last year. After all, pranks never get old!